Josh Kennedy has set a new careerhigh in marks as well, eclipsing his record of 15 against the Western Bulldogs in Round 9, 2011. Nic Naitanui has equalled his careerhigh marks in a game (six), set against Port Adelaide in Round 2, 2011. 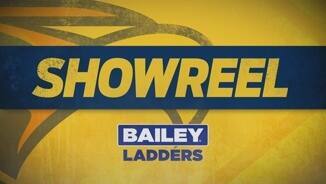 Matthew Priddis has set a new careerhigh for contested possessions with 24. Andrew Gaff has also set a career-high in handball receives with 25 and equalled a career-high in uncontested possessions with 28. Josh Kennedy has eight inside 50's in this match so far. His careerhigh is nine, recorded against Sydney in Round 17, 2013. 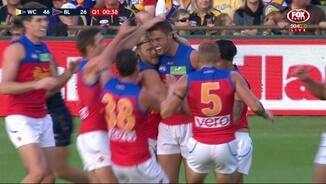 That goal to Mark LeCras broke a streak of five straight scores to the Brisbane Lions. The Lions' previous longest scoring shot streak in this match was two. Lions InterchangeMitch Robinson off due to an injury. Pearce Hanley has a teamhigh 15 handball receives in the match so far. His career-high is 19, set against Collingwood in Round 21, 2014. In the 2015 home and away season, the Eagles averaged 59.2 points per game from possession gains, ranked second in the AFL. In this game they have 13.2 (80) from this source. With his first goal this quarter, Josh Kennedy has set a new personal best for points scored against the Lions, eclipsing the previous mark of 25 points set in Round 7, 2013. 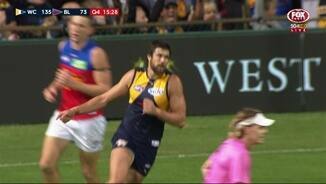 Andrew Gaff has 17 handball receives to three quartertime. His career-high is 23 against St Kilda in Round 23 last year. Daniel Rich has put in a very balanced effort in this match, with gamehighs for both tackles (nine) and inside 50's (eight). Jamie Cripps has won three intercept possessions this quarter for the Eagles, with all of them resulting in Eagles goals. The Brisbane Lions have been attacking more this quarter, leading the time in forward half differential at 52 per cent. This has allowed them to lead the inside 50 count for this quarter (1211). In the 2015 home and away season, the Eagles averaged just over three goals per game from the goalsquare. In this game they have seven. Daniel McStay has helped fill the void left by Daniel Merrett's absence, with four intercept marks and six intercept possessions, both gamehighs. The Brisbane Lions have scored 4.3 (27) from stoppages in this match. In the 2015 home and away season they averaged 29.5 points from this source, ranked 14th. Mitch Robinson has improved his disposal retention so far this quarter, with six disposals at 83 per cent retention. The Eagles have launched 6.4 (28) from their Attacking Midfield zone in the first half. They led the AFL in total points scored from this zone in the 2015 home and away season. Matthew Priddis collected 18 contested possessions in the first half. 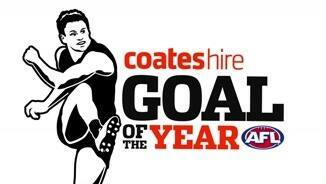 His careerhigh is 23 against the Western Bulldogs in Round 1, 2012. Mitch Robinson is leading the way for the Lions around the stoppages, with 13 disposals, six Groundballgets, six first possessions, five clearances and nine contested possessions. However his disposal retention rate is only 38 per cent. The Eagles have assumed control of the stoppages this quarter, leading hitouts 115, hitouts-to-advantage 3-0, 1st possessions 10-3 and clearances 10-3. They have also outscored the Brisbane Lions from this source in this quarter. Five Brisbane Lions players have recorded score involvements in the second quarter of this match, while only six Eagles players are yet to record a score involvement this quarter. 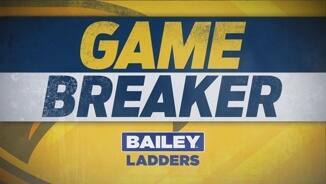 Lions InterchangeJonathan Freeman off due to the blood rule. 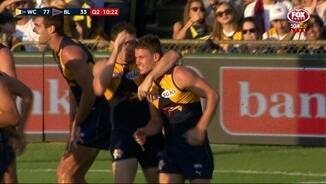 The Eagles lead the disposal count 7228 this quarter, with Scott Lycett the only Eagle yet to record a disposal, while six Lions are yet to record one. Lions InterchangeClaye Beams off due to an injury. Matthew Priddis is starting the year in midseason form, with 18 disposals, 13 contested possessions, 2 score assists and 7 clearances so far. The Eagles have launched 18 points so far in this match from inside their defensive 50. They launched 15 points per game from this zone in 2015. 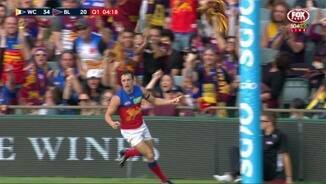 The Eagles dominated the hitouts (199) and hitouts-to-advantage (10-3) in the first quarter, but the Brisbane Lions won the clearances 16-14 and outscored the Eagles by nine points from this source. Allen Christensen has provided some attacking spark for the Brisbane Lions in this quarter, with two score launches and four score involvements including one goal off his own boot. Josh Kennedy is showing why he was the number one ranked player in the AFL in 2015 for Scoreboard Impact, with one score assist, five score involvements and 3.1 (19) to his name. The Eagles have been going forward the majority of this quarter, leading the inside 50 count 11 to six and spending 63 per cent of the match so far in their forward half. The Eagles are outrunning the Brisbane Lions in the first half of this quarter, leading the Handball Receives count 2613. Eagles InterchangeJeremy McGovern off due to an injury. All three goals scored so far in this match have been launched by intercept possessions. 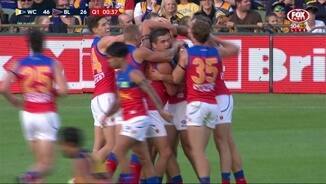 In the 2015 home and away season, the West Coast Eagles were ranked ahead of the Brisbane Lions both for Hitouts and Hitoutsto-advantage. 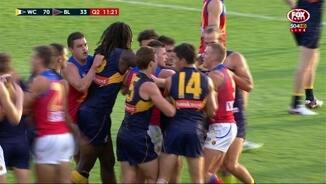 However the Lions ranked ahead of the Eagles for both First Possessions and Clearances from stoppages last year. Losing Daniel Merrett to illness for this game is a big blow to the Brisbane Lions defence, who ranked 17th in intercept possessions in the 2015 home and away season. Merrett was ranked second for the Lions in average turnover differential in 2015. Welcome to Domain Stadium for the West Coast Eagles v Brisbane Lions Round 1 clash. 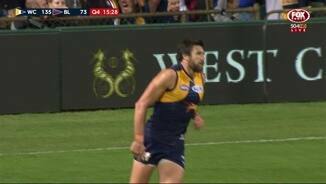 WEST Coast has started the season in perfect fashion with Josh Kennedy kicking eight goals in a 64-point win over the Brisbane Lions at Domain Stadium on Sunday evening. The Eagles did as they pleased for much of the night with Matt Priddis racking up an astonishing 29 first-half possessions on his way to 43 in the 26.10 (166) to 15.12 (102) win. With Lions full-back Daniel Merrett withdrawing due to illness, reigning Coleman medallist Kennedy enjoyed plenty of freedom up forward. As well as booting eight majors, Kennedy dished off four goal assists from his 25 possessions and 16 marks. Nic Naitanui was a powerful force in the ruck with 22 touches, six marks and 46 hit-outs to comfortably beat opposite number Stef Martin. 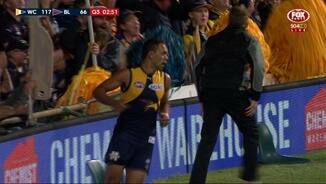 Josh Hill and Jamie Cripps also benefited up forward with three goals apiece for the Eagles. Eric Mackenzie returned from a knee reconstruction to be outstanding down back while Andrew Gaff had 33 possessions, Luke Shuey (30) and former Lion Jack Redden (25) in his first game at his new club. AFL chief executive Gillon McLachlan might be happy with the more attacking style and 41 goals kicked, but Eagles coach Adam Simpson not so much. "It was a weird game and Gill's got his request. High-scoring footy was at its best," Simpson said, labelling the fledgling trend footy's "new frontier". "I'm not entirely happy with the defence. 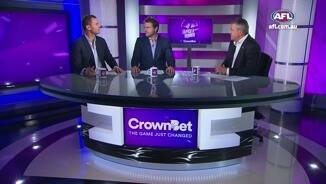 We conceded 100-odd points from 43 entries and that's not good enough." The Lions battled hard and will be pleased to have kicked 15 goals, but lacked the class of the Eagles and were never really in the contest. Allen Christensen and Lewis Taylor kicked three goals each for the Lions, while No.2 draft pick Josh Schache kicked two on debut in an encouraging performance. 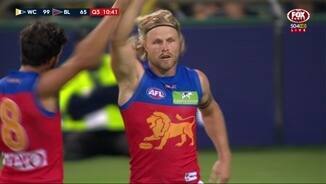 The recently re-signed Daniel Rich was terrific with 23 possessions, two goals and 11 tackles. Tom Bell, Ryan Bastinac and Tom Rockliff worked hard, while Mitch Robinson had a mixed day, appearing to injure a calf late and also getting reported for rough conduct in the second quarter. Lions coach Justin Leppitsch was happy with his team's approach but wants an improvement in turnovers. "I thought our style of play was much better," Leppitsch said. 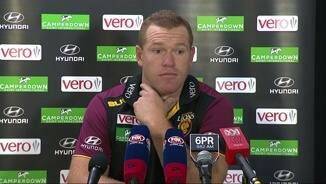 "We actually won scores from stoppages well but the difference in the score was from turnovers. "We shot ourselves in the foot a little bit but at least we are playing with a bit of flair and we'll continue that." 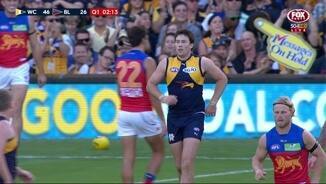 West Coast: Eagles swingman Jeremy McGovern suffered a shoulder scare in the first quarter. He went to the rooms but returned soon after and laid some heavy bumps after returning. 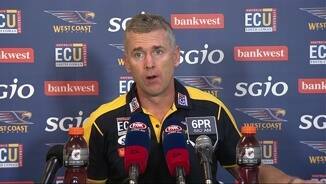 Coach Adam Simpson said the defender was fine. Brisbane Lions: Mitch Robinson hurt his calf in the second half after a very productive first half and spent most of the last quarter on the bench. He will be assessed this week. 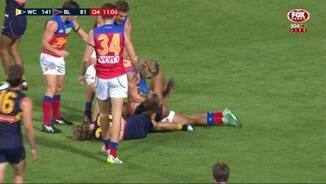 He was also reported for rough conduct but would appear unlikely to face sanction after running into the back of Xavier Ellis. Tom Rockliff had ice on his forearm late in the game and had to be managed through his first game of the season but coach Justin Leppitsch said his skipper was OK. 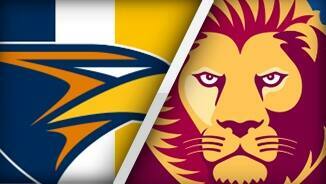 The Lions return home for their first game of the year at the Gabba against North Melbourne on Saturday. The Eagles will watch the Cats-Hawks Easter Monday blockbuster closely before flying to Melbourne to meet Hawthorn in a Grand Final rematch next Sunday at the MCG.